Hew-Tex Oil & Gas’s Managing Member, Peter Hewett, has been in the upstream side of the energy industry for more than four decades of crude oil producing operations involving the generating of oil and gas drilling prospects (exploration and production of hundreds of oil and gas wells) both domestic onshore and offshore USA. Thus, Hew-Tex Oil & Gas (“HTOG”) has extensive knowledge and experience in producing crude oil and dealing with the associated formation saltwater produced by nearly every crude oil well. 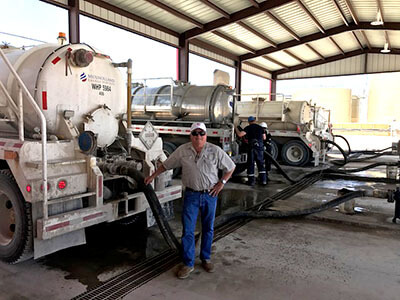 It was a natural shift into the saltwater disposal business by Mr. Hewett and the Hew-Tex Oil & Gas management team early in 2017 after the discovery (late 2016) in the Permian Basin of more than 20 billion barrels of proven oil reserves and 16 trillion cubic feet of natural gas reserves that were found through the use of new horizontal drilling extraction techniques and 3-D seismic technology. The niche that Mr. Hewett decided to specialize in was the result of a hands-on awareness that the operators and producers drilling the hundreds of oil wells, needed to find a way to dispose of the significant volume of saltwater that is produced along with the crude oil in the Permian Basin. The Permian Basin is comprised of the Delaware Basin on the west, the Central Basin Platform in the middle, and the Midland Basin to the east. Today, there are currently as many active drilling rigs in the Permian Basin as there are combined throughout the balance of the entire USA, both onshore and offshore. Several thousand wells are planned to be drilled by companies like ExxonMobil, Occidental Petroleum, Chevron, Apache Corp., Shell Oil Western, Anadarko E&P, EOG Resources, Cimarex Energy, Energen Resources, Endeavor Energy, Matador Production and many other independents. Today, the average Permian Basin oil well initially produces 650 barrels of oil per day will also produce and estimated 2,000 barrels of formation saltwater per day. This ratio of 3 barrels of saltwater per 1 barrel of crude oil creates a huge problem for operators and producers. There is a substantial need for approved saltwater disposal well facilities to inject this saltwater as well as to clean and wash the tanker and vacuum trucks and frac tanks that is required under the EPA (Environmental Protection Agency) by statutory law of the Texas Water Code and enforced by the Texas Railroad Commission. If an operator has no place to dispose of the saltwater, it has no choice but to shut-in the well. 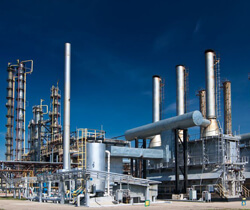 Hew-Tex Oil & Gas, believes the commercial saltwater disposal business in the West Texas Permian Basin area will continue to be a very lucrative business opportunity for years to come. The economics are simple…spend the least amount of capital to build a state-of-the-art disposal facility that has the potential to generate significant cash flow 24/7. This website will discuss in subsequent sections all of the relevant areas pertaining to saltwater disposal business opportunities. View the description and maps of the Permian Basin. See actual photos of a current Class II Saltwater Disposal Facility under construction and in operation. Prospective Hew-Tex Oil & Gas Business Investment Opportunity and Financial and Economic Assessment. Click on various icons discussing both technical SWD aspects, SWD photos and video gallery, SWD facts and data, SWD instructional videos and SWD industry news.n.